TENNIS COLLECTION, PHOTOGRAPHED BY VIVIANE SASSEN, STILL LIFE BY ROB KULISEK. A colorful and graphic return to the golden retro era of tennis. 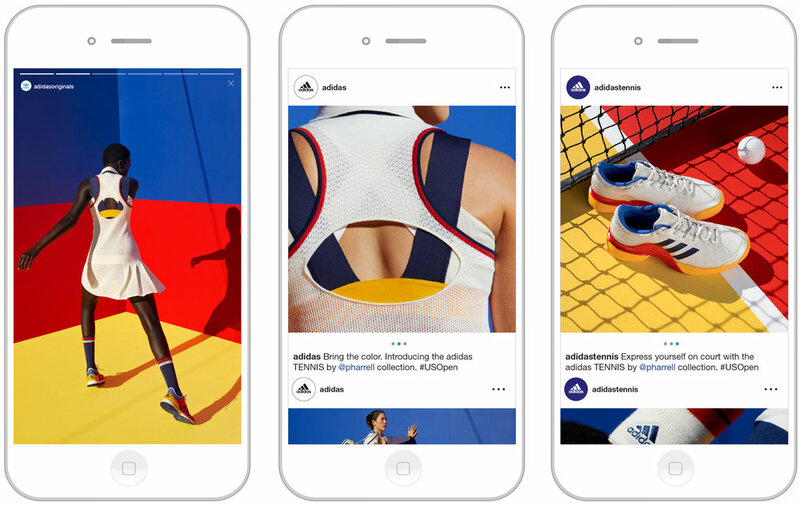 Spanning both the performance and originals adidas brands, with a strong social media presence across both channels to coincide with the 2017 US Open.